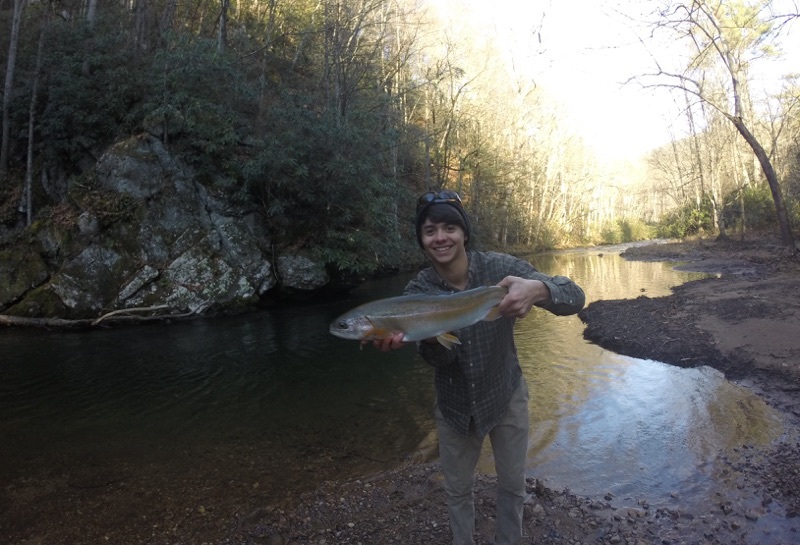 On Sunday afternoon, I headed out to Sugar Hollow to do some trout fishing, it hadn't been stocked in around one month but I didn't need freshly stocked fish to catch them. We fished the weir below the dam for 45 minutes with no luck, a couple hundred yards of the North Fork of the Moormans River, yielding only one 4" native, and 3/4 of a mile of shoreline at the lake with trout magnets, spoons, and spinners. The tiny native I caught on a trout magnet was the only fish we caught, yes, fish, no non-trout fish caught either. Oh well, that's the problem when the department stocks trout in a 47 acre reservoir with no boat access :(... Thanks for reading!